JF29, Full-Range PA Speaker Cabinet from EAW in the JF series. Ten new additions join the EAW JF Series of high-definition two-way systems. 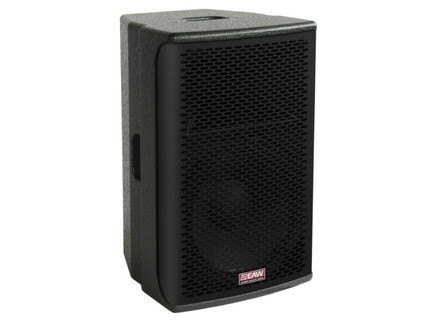 EAW announced ten new additions to its JF Series of two-way loudspeaker systems, including four integrated NT** models. 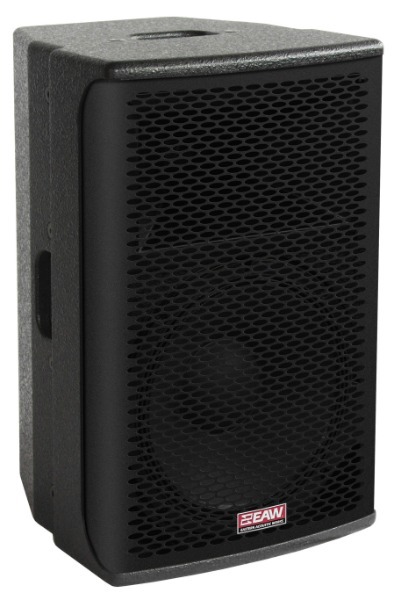 Designed by EAW's Whitinsville, Massachusetts-based engineering team for a range of contractor and system integrator uses, the new JF and JFNT Series are described as scalable, compact lightweight loudspeakers ideal for a multitude of small and medium-sized sound reinforcement applications. The newest additions to the JF Series of two-way loudspeakers include JF8, JF10, JF26, JF29, JF56 and JF59. New integrated JFNT units include JF26NT, JF29NT, JF56NT and JF59NT. The JF models include low-directivity eight-inch and 10-inch systems and four 12-inch and 15-inch systems (60-degree x 45-degree and 90-degree x 45-degree versions of both sizes are available). The four JFNT models (comprehensively integrated versions of the 12-inch and 15-inch JF models) elevate the notion of power and utility. They offer 1500 Watts of integrated amplification, EAW Focusing processing, EAW Pilot software-accessible front-end DSP, proprietary U-Net? audio and communications network, and the JF Series adaptable enclosure design. This provides multi-channel digital audio transmission with remote software control and monitoring capability. Contractors have the ability to initially install standard JF models for their clients, and then at a later date, upgrade those cabinets in the field to the NT model. The entire product line is architected on a core cabinet philosophy designed to allow users to utilize universal hardware accessories to tailor their JF product to meet the specific needs of their application. JF8 25 lbs 17.46" x 10.05" x 11.28"
JF10 33 lbs 19.75" x 11.94" x 11.37"
JF26 56 lbs 22.30" x 13.94" x 15.25"
JF29 56 lbs 22.30" x 13.94" x 15.25"
JF56 75 lbs 25.50" x 18.32" x 17.13"
JF59 75 lbs 25.50" x 18.32" x 17.13"
JF26NT 56 lbs 22.30" x 13.94" x 15.25"
JF29NT 56 lbs 22.30" x 13.94" x 15.25"
JF56NT 75 lbs 25.50" x 18.32" x 17.13"
JF59NT 75 lbs 25.50" x 18.32" x 17.13"
Nady UWS-100 Channel UHF Wireless System Nady Systems recently announced the introduction of their UWS-100. Genelec Announces New 9000a Stereo Volume Control Genelec announced its new 9000A Stereo Volume Control, designed to appear as a miniature version of Genelec's 5040A Active Subwoofer. Crest Audio E-Lite 1800/3000 & 1800/3000 DSP Crest Audio debuts the E-Lite Series power amplifiers with the E-Lite 1800 & 3000 and E-Lite 1800 DSP & 3000 DSP.